1000 Us Highway 1 #el-302 Jupiter, Fl 33477 has been sold. LOOK NO FURTHER THIS COMPLETELY REMODELED CONDO WITH SPECTACULAR VIEWS OF THE INTRACOASTAL IS IN THE MOST DESIRABLE ELEUTHERA BLDG OF JUPITER HARBOUR PICTURES ARE WORTH A 1000 WORDS TO DESCRIBE THIS RARE PROPERTY WITH A MARINA 24 HR MANNED GATED COMMUNITY CLOSE TO EVERYTHING FROM SHOPPING, RESTAURANTS, BEACHES AND MORE. THIS IS A MUST SEE BOAT SLIPS AVAILABLE FOR PURCHASE OR LEASE. 1000 Us Highway 1 #el-302 located in Jupiter, FL is a condo with 3 bedrooms, 2 full baths and 0 half baths.The Condo at 1000 Us Highway 1 #el-302 was built in 1983 in Jupiter Harbour and offers a 0 car garage. 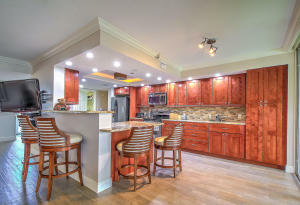 This Jupiter Harbour Condo offers pool, tennis, bike - jog, spa-hot tub, sidewalk, street lights. 1000 Us Highway 1 #el-302 Jupiter, Fl is currently listed for $669,000 under the MLS# RX-10456076. This Condo has been put on the Jupiter MLS system and currently has a status of SLD.